artists from different origins and artistic approaches. 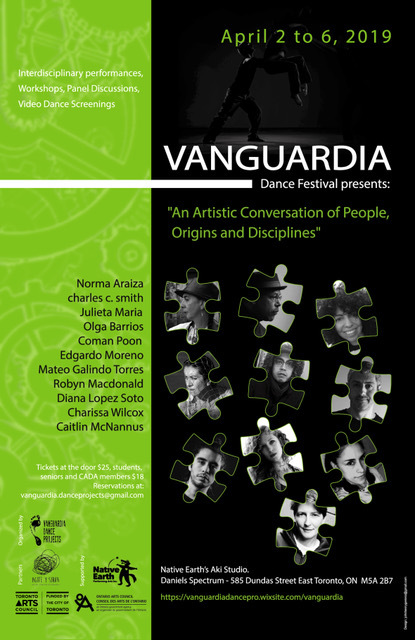 artist collective, “Agite y Sirva Festival Itinerante de Video” will premiere a series of dance films in Toronto featuring artists from different parts of Latin America. COME OUT AND SUPPORT LOCAL UP-AND-COMING ARTISTS! The event will feature live performances from local artists in Toronto. Local minority-owned businesses will also be present to network and to showcase their products/services and support other local businesses who are attending. The event will be located at Daniel’s Spectrum in Regent Park. The doors will open at 5:00pm where local businesses will have the floor to show their products and services. Attendees are encouraged to network and converse with the local business representatives. The live performances will start at 6:30pm. 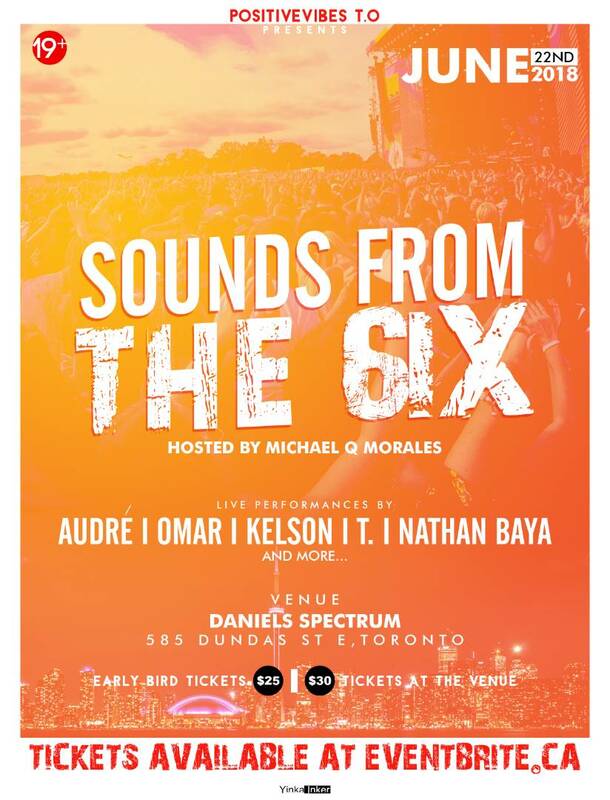 Sounds From The 6ix allows the voices of racialized communities to be heard within a supportive and positive environment. A portion of ticket sales will be donated to helping youth in performing arts! TICKETS AT THE DOOR ARE 30 DOLLARS. You can message positivevibest.o@gmail.com for any questions or inquiries. Join us on Thursday, June 7 at Daniels Spectrum for our Annual Tribute fundraiser hosted by Blake, Cassels & Graydon LLP. The night is an inspiring evening that brings together an influential and diverse collection of more than 500 people determined to motivate change. The event features a popular silent and live auction, scrumptious food and drink catered by Daniel et Daniel, and entertainment. We will also present this year’s Spirit of Barbra Schlifer Award, presented by Torys LLP, to an outstanding woman nominated for her demonstrable contribution to increased access to safety and justice for women. Welcome to Oakham Community Theatre’s 2018 festival ARTIFICE – four community acted, written, directed and produced shows developed over the past five months. ARTIFICE explores that infinitesimal edge between real and unreal. Human nature is to lie, to dissemble – from the masks we wear with loved ones, to the deepest secrets we keep from ourselves… it may be the nature of truth to hide from view. Look closely enough, and you may catch a glimmer of what lies beyond the veil. Audience advisory: violence, domestic abuse, alcohol abuse, mature themes and strong language.